When you have been diagnosed with an autism spectrum disorder, you walk a fine line. Often times under certain circumstances, you are perfectly capable of behaving "typically." Other times, not so much. And it's not easy to predict when things will suddenly become stressful. If you say something such as "I have a disorder called Asperger syndrome" to a co-worker or a neighbor, you may set yourself up to be treated differently (and perhaps unfairly). But if you don't tell, there's the possibility that a sensory issue or misunderstanding could lead to some real issues (e.g., being viewed as volatile of rude). 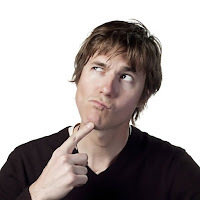 So, should you disclose to others that you have Asperger's (high-functioning autism)? If so, who should you tell, and how much information should you provide? There are other times when partial disclosure will suffice. 1. No disclosure: In cases where the information could be used against you (e.g., telling a co-worker), no disclosure is advised. Sometimes, the workplace can be cruel, and an employee on the autism spectrum is often a sitting duck for the office bullies. So, with the possible exception of the boss and/or supervisor, your co-workers are best left in the dark about your disorder (unless you have one that you can really trust). Here's one exception to #1: In some cases, it may be appropriate to educate your fellow employees about autism spectrum disorders. 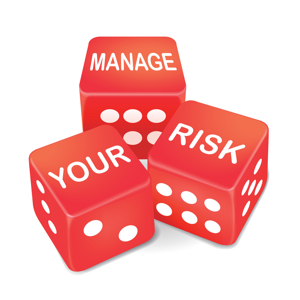 If you decide to disclose to a group of people, be sure to do some planning and preparation. You may choose to make the presentation yourself, or if making a presentation like this is not a strong point for you, you may be able to get a therapist or an outside professional to talk to the group. In any event, it may be in your best interest if some of the people at your place of employment learned a few things about autism spectrum disorders. 2. Partial disclosure: In those cases where someone will be working with you in a group context rather than one-on-one (e.g., a karate coach), or the relationship will be temporary (e.g., 3-day training seminar), partial disclosure will usually suffice. For example, if you're taking karate lessons, you may do well most of the time. So, a partial disclosure could be: "I'm the type of person who really needs structure, so if you're going to make a change, it would help if you tell me before class. When things are unpredictable, I get anxious and may have an issue." In this way, you are giving the coach a "heads-up" about a potential problem without divulging your actual diagnosis. 3. Full disclosure: In those cases where someone will be working closely - and frequently - with you (e.g., professor, therapist), full disclosure would be necessary. Also, for those who will be having an ongoing relationship with you over the years (e.g., wife, in-laws), full disclosure is needed. In both of these scenarios, certain people will be having a lot of contact with you, so it is vital that they know as much as possible about the disorder and how it affects you particularly. In this way, they will know what to expect, and possibly how to help prevent issues before they arise. Having said all of the above, the bottom line is this: The disclosure decision is up to you. What's right for one person on the spectrum may not be right for another. • Anonymous said… After being on crutches once I decided that I prefer an invisible difference. I try to avoid places and people where my sensetivities may be triggered - mostly sound. Being retired helps. I have some physical limitations that I don't mind sharing - limited use of my hands due to nerve damage. That one keeps people from thinking ill of my when I don't volunteer/help out in some situations. • Anonymous said… definitely caught between a rock and a hard place kinda choice ... and yes, even people who knew you, like forever, look at you differently .... I really think the medical profession needs to stop looking at the autistic spectrum as a disorder. What if its the so-called neuro-typical people that have a "disorder"? To me, its like saying being female is a disorder because men have/did have all/most of the power.in defining what is "normal". • Anonymous said… I am in autism educator in a high school and I didn't tell anybody especially my employers until I was three years into the job. Because yes, it is natural to treat someone with a behavior disorder very differently then someone without. • Anonymous said… I am very self-conscious about my diagnosis, so I only tell people on a need-to-know basis. When it comes to dating, I wouldn`t disclose my condition on a first date, because I am afraid that it would scare him away, or he would make assumptions about me. I would wait a little while until he gets to know who I am as a person, then I would disclose if it is obvious to me that we have a future together and/or my condition is or could become an issue in our relationship. 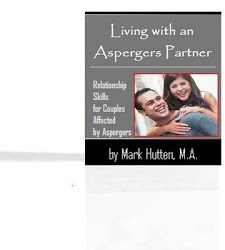 • Anonymous said… I told my co workers I have Aspergers and it helped them understand me better. It's helped so much. They now give me plenty of warning if things are going to be changed or if there's a disruption to the normal functioning of the office. They overlook it when I'm being awkward. I'm really pleased I told them. It doesn't embarrass me; it just helps others understand me. • Anonymous said… I'm afraid to tell others just because I'll be viewed as different. Honestly it doesn't make sense cuz I'm definitely already different with my short hair, Wing agender, my being antisocial. I guess I don't want to be viewed as stupid by closed minded nt's. • Anonymous said… People have such a misunderstanding of Asperger's and the autism spectrum, that I prefer to stay in the closet so to speak.